AOE provides CME/CE consulting and support services for education providers, pharmaceutical IME and compliance teams, and CME/CE professionals. We take a straightforward approach to strategic and tactical client support. Our deliverable is your success in the CME/CE Enterprise. Our combined experience has improved effectiveness and success at more than 50 education providers, pharmaceutical CME/CE teams, hospitals, academic centers and associations. The AOE Consulting team includes seasoned accreditation, legal and compliance professionals; national and international CME/CE experts; and former executive leaders of professional societies and associations. We leverage the experience of multiple Certified CME/CE Professionals. Our Advisory Board and Consulting Design Team include CME/CE program, education grant office, and adult learning experts. We are often asked about the meaning behind “AOE”. AOE takes its name from the three Greek letters that represented the ancient city-state of Athens. In addition to the letters, each Greek city-state was associated with an animal mascot. The symbol for Athens was the owl, as it was believed by ancient Greek leaders and philosophers that the owl would circle the Earth each night, collect the wisdom of the world, and return it to Athens. We remain mindful of this thought as AOE Consulting works with you and your team. Annika brings significant expertise in industry research, project management, grant development and implementation of continuing medical education (CME) accreditation guidelines and policies. With former management experience at both Medical Education Collaborative and Postgraduate Institute for Medicine, Annika has led CME quality improvement research and project implementation initiatives. A former educator, she is an active member of the Alliance for Continuing Education in the Health Professions (ACEHP), and has served as a trainer for ACEHP’s Leadership Institute. As well, Annika is a member of the Colorado Alliance for CME. Annika earned her Master of Arts degree from Colorado State University in Speech Communication with an emphasis in Health Communication. With more than 14 years of secondary and college education experience in the sciences, Carlye leverages her project management, laboratory oversight, and continuing education background for the benefit of AOE clients. Carlye is well-versed in the areas of adult learning, education outcomes measurement, instructional design, and implementation of educational programs. Carlye serves as chairperson for a Scientific Review Committee for ongoing research and poster session development for youth in northeast Colorado. She is an active member of the Alliance for Continuing Education in the Health Professions (ACEHP) and the Colorado Alliance for CME and serves as a member of the ACEHP’s Awards Committee. Carlye earned her Bachelor of Science degree in Biology with a Minor in Chemistry and emphasis in Secondary Education from the University of Northern Colorado. Sarah’s background spans education, operations and communication. 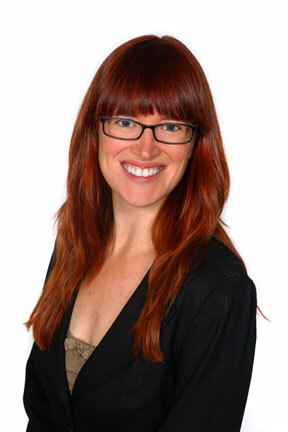 She brings expertise in educational design, project management, event planning, logistics, and social media strategy. Sarah is adept at development and implementation of policies and procedures across various stakeholder groups. As a Program Manager, Sarah works with organizations to translate accreditation board criteria and to provide solutions for consistency in management and documentation of CME/CE compliance across accredited initiatives. Sarah earned her Bachelor of Arts in Journalism from Pepperdine University. Renea brings six years of project management, marketing and logistics coordination to AOE’s partners. Renea is well-versed in accreditation compliance, including activity file documentation and conflict-of-interest management. Renea also brings extensive experience in association management, where she has led annual membership renewals and executed member communication strategies. Prior to joining AOE, Renea worked for Sidney Regional Medical Center in Nebraska where she gained experience in administration and customer support operations. At AOE, Renea works directly with AOE’s clients to assist with reaccreditation and activity compliance management. Renea earned her Bachelor’s of Science from the University of Wyoming. 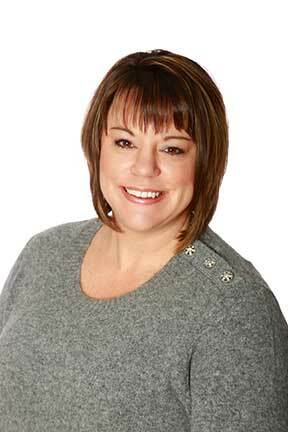 Carrie Fay brings 18 years of marketing, communication and project management experience to AOE’s team. Her experience in team management and public relations are valuable assets as AOE engages with stakeholders in the CME/CE enterprise. Prior to joining AOE, she served as Communications Director for a large non-profit organization, leading internal and external communications efforts. In addition, she planned and helped to implement large-scale events. Carrie Fay earned her Masters of Arts (MA) degree from Colorado State University in Speech Communication and two Bachelor of Arts (BA) degrees in Foreign Languages and Communications. Kate brings four years of project management, marketing, logistics and meeting planning experience to AOE’s partners. An active member of the Colorado Hotel and Lodging Association, Kate is well-versed in the area of event operations, meeting planning and project management. Prior to joining AOE, Kate worked at the Hyatt Regency Denver, where she gained experience in convention services, sales, and front desk operations. She also developed, marketed, and implemented educational programs as a G.U.I.D.E. Paraprofessional for Colorado State University, and served as Education Vice President of a Greek women’s organization, where she managed educational programming and event planning. Kate earned her Bachelor’s in Hospitality Management and Business Administration from Colorado State University. 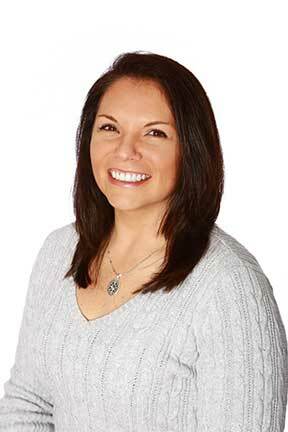 Lindsay’s clinical expertise comes from over five years as a physical therapist. 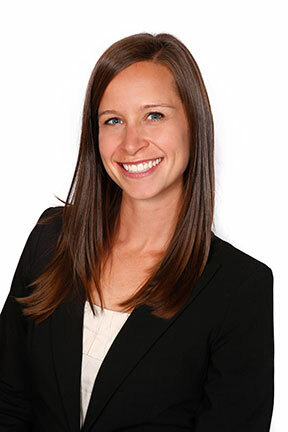 Her clinical expertise, combined with her knowledge of CME/CE compliance standards and adult learning principles, allows Lindsay to provide guidance and feedback to AOE’s clients regarding assessment, planning and the content validity of accredited activities. As well, Lindsay routinely oversees resolution of conflicts-of-interest as part of external content review of educational content. Lindsay earned her Bachelor of Science degree at the University of Wisconsin-Madison, and her Doctor of Physical Therapy from Boston University. AOE was formed by and for CME/CE leaders who want to demonstrate their best and improve CME/CE practices and results. The AOE Advisory Board remains active and involved in the CME/CE Enterprise, providing direction that assists AOE in helping pharmaceutical and medical education organizations, as well as individuals, solve problems with relevant, effective solutions. AOE’s standing as an authority in the CME/CE Enterprise is reinforced by our Advisory Board leaders. The AOE Consulting Network includes seasoned legal/regulatory and compliance professionals, CME/CE experts, and former executive leaders of professional societies and associations. More than half of our consultants are Certified Healthcare CPD Professionals. Our Consulting Design Team includes CME/CE program, education grant office, and adult learning experts. AOE consultants have authored white papers, trained pharmaceutical IME and compliance teams, undergone successful reaccreditations across education provider-types and accreditation boards, and shared expertise with thousands of attendees at more than 30 national and international conferences, including the Alliance for CME Annual Meeting, AMA Task Force on Industry/Provider Collaboration, ANCC Annual Meeting, MedEd Forum, CME Congress, and CBI Grants conferences. AOE helps organizations demonstrate and define excellence in continuing medical education. Our team delivers knowledge, tools and cost-effective services that enhance quality, integrity, and the results associated with you and your CME/CE Unit. AOE works with multiple stakeholders in the CME/CE Enterprise to deliver tailored consulting and training services. As leaders in continuing medical education, we help you excel in the current continuing medical education environment. Our success is tied to yours, and we work to exceed your expectations.